Smartwatches have the potential to improve the quality of life of seniors. Many of the features that are already available can be useful for seniors. However, more features are needed and some existing features need to be adapted to suit seniors’ needs. 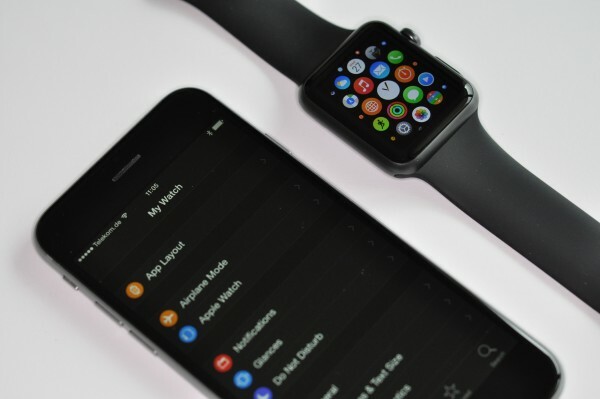 Before and since the launch of the Apple Watch in April 2015, a lot has been written about smartwatches in general and the Apple Watch in particular. But what about smartwatches for seniors? Are they useful? Are they usable? This article describes what we believe is the potential of this relatively new product category. Some examples of devices which belong to this product category are listed in Table 1. Apart from the user interface and the software ecosystem, the main difference between these watches is whether or not they have a SIM-card slot and GPS built-in. For those watches without these features, the user will need to be within the wireless range (Bluetooth Smart) of her smartphone, in order to reap the potential described further on in this article. Table 1: An overview of some of the most recent smartwatches. In addition to these smartwatches for a general (tech-savvy) audience, some companies are working on watches specifically for seniors. Examples are Lively and Limmex. Although these products are innovative and have a decent chance of success, we believe that most potential lies in equipping the generic smartwatches with senior-specific apps. Lively produces a senior-specific smartwatch, which has a large button to make emergency calls. Image: Lively. 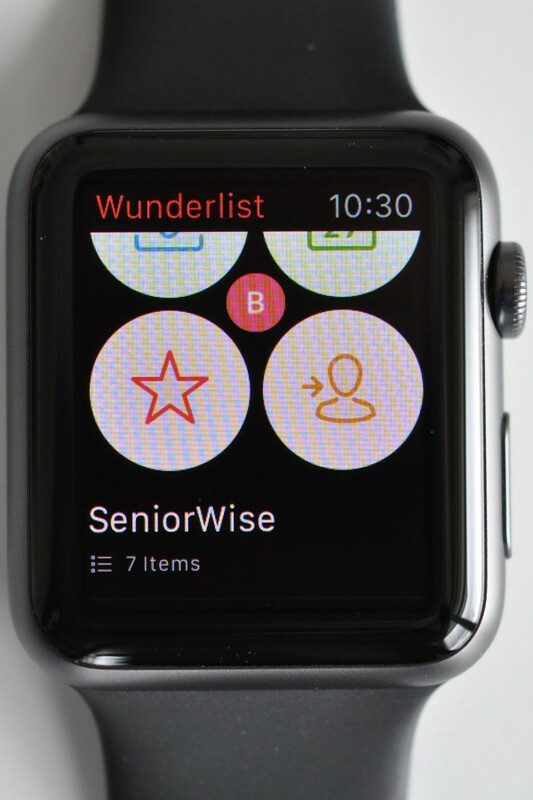 Today, there are hardly any senior-specific apps available for smartwatches. The potential that we describe in this article is therefore partly based on the features of the generic smartwatch apps that are available today, and partly on our experience in the fields of gerontechnology and Ambient Assisted Living (AAL). The hardware of today’s smartwatches seems to be capable enough. Therefore, companies that target seniors ‘just’ need to design and develop the right apps for them. 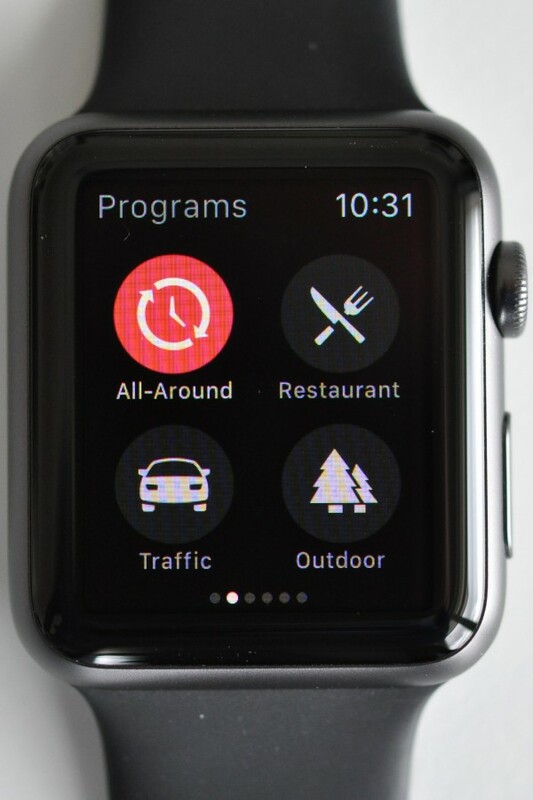 There are many apps available for the Apple Watch, but hardly any have been designed specifically for seniors. Many seniors own a wearable panic button (mostly as a bracelet or necklace). When pressed, the button triggers an emergency call to a dedicated service center. The problem with these panic buttons is however, that many seniors either refuse to wear them or forget to wear them. Those seniors who refuse to wear their panic buttons, mostly do so because they do not like the look of it, because they believe that “they do not need it” and/or they do not want to look helpless in the eyes of others. For those seniors, an attractive smartwatch could be an option. A smartwatch could be used for much more than making emergency calls and therefore would not stigmatize. Moreover, in our opinion, Apple is one of the first who launched models that look very good on a lady’s wrist. Some of the Apple Watch models would look good on a lady’s wrist. Image: ELLE. Also for those seniors who forget to wear their panic buttons, smartwatches could be a solution. Smartwatches could detect if they are being worn: the accelerometer could detect movement and the heart rate sensor could detect if it is really around someone’s wrist. If it is not around a person’s wrist within a certain timeframe, e.g. 07:00 am until 10:00 pm, the watch could first remind the senior to put it on. If that does not help, the watch could inform a caregiver, who could then call the senior or visit her in person. Assuming that the senior is wearing the smartwatch, she should be able to trigger an emergency call manually. Because the user interface of a smartwatch is more complicated than the user interface of a traditional panic button, this requires some careful design and testing with real users. Just like most traditional panic buttons, smartwatches can be worn under the shower. However, because almost everyone takes off her watch before showering, seniors need to be taught to keep wearing it, in order to be able to call for help at any time. 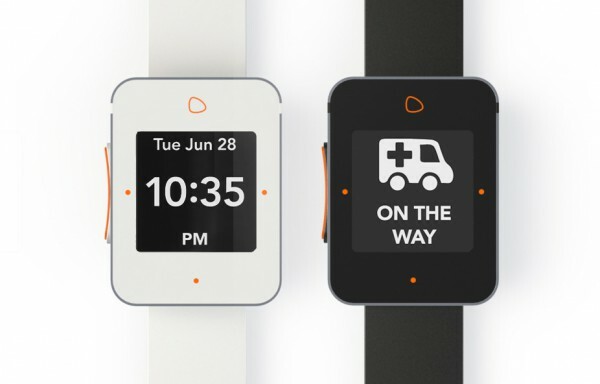 An advantage of smartwatches over wearable panic buttons is that they could be used to have a conversation with the caregiver or the emergency support center. That is especially useful to find out how urgent the issue really is. Traditional systems only allow for a conversation when the senior is within audible range of the central control unit. Thus, when the senior presses the button while she is in the garden, the bathroom, etc. caregivers can not find out how urgent the alarm is. With a smartwatch this would be possible. Another advantage of a smartwatch over the traditional panic button, is that it could also be used to make (emergency) calls away from home. Moreover, with the GPS functionality (either built-in, or via the connected smart phone, see Table 1), the user’s position could be sent to the caregiver or service center. There are many different systems available to detect falls and automatically trigger an emergency call. They range from infrared cameras to pressure sensitive floors. Most of these systems are either not reliable or expensive and hard to install in existing buildings. Another type of fall detectors is worn at the body, e.g. in the form of a waist belt or a bracelet. A bracelet-based fall detection system may not be sufficiently reliable, because the arm makes many abrupt movements. The advantage of a smartwatch is that it could not just be used to detect falls, but also to dismiss false alarms. The watch could inform the user that a fall was detected, could give the user a minute to dismiss the alarm and could otherwise trigger an emergency call. 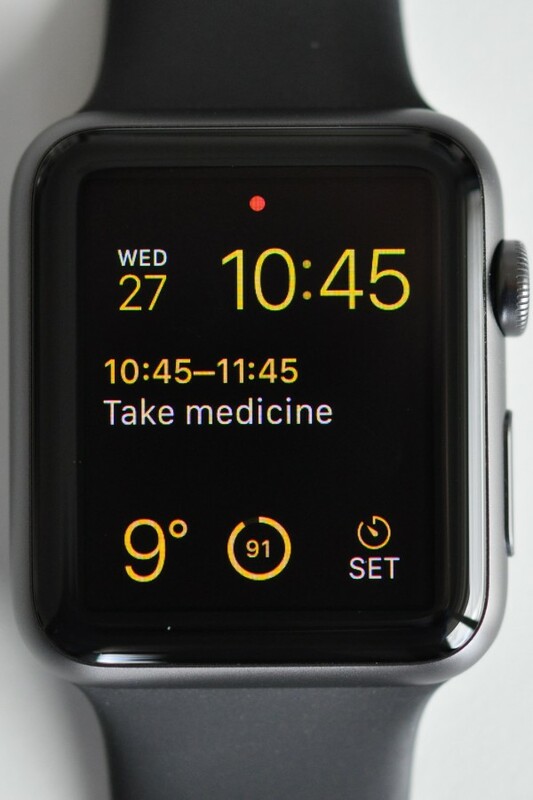 The latest smartwatches, such as the Apple Watch, can be used to monitor some of a person’s vital signs. The Apple Watch has a built-in heart rate monitor and an accelerometer. It can thus detect a lack of motion and remind the wearer to move sufficiently. In order to keep track of blood pressure, blood sugar and weight, other devices need to be connected wirelessly to the smartwatch. The Apple Watch can measure the senior’s heart rate. 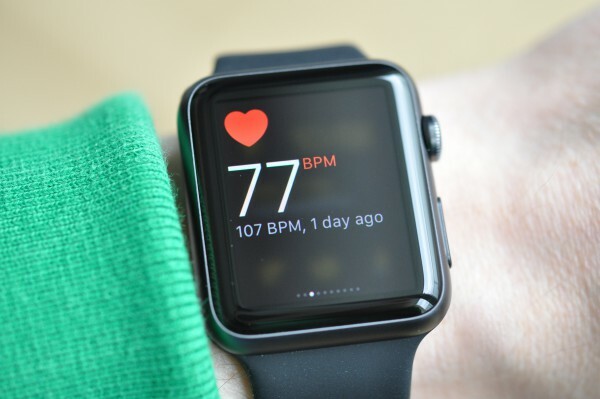 In contrast to traditional sports watches from brands such as Garmin, Polar and Suunto, the Apple Watch can measure the heart rate directly on the wrist of the wearer. When it is time to take specific medication. When it is time to eat or drink. When it is time to prepare for an appointment. When it is time to stand up and move. When it is time to get up or go to bed. When it is a holiday and shops may be closed. When a friend has her birthday. When the stove is overheating, the water has stopped boiling, the microwave is ready, etc. 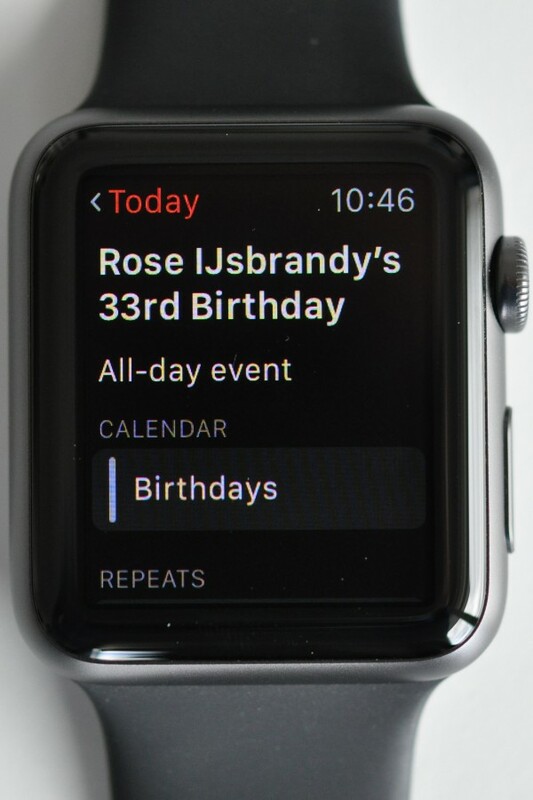 The Apple Watch can remind the senior of things such as medication intake, or the birthday of a friend. Most smartwatches offer turn-by-turn navigation, which means that one can set a destination and the watch will then provide instructions for how to get there, in a similar manner to in-car navigation. For seniors with a loss of orientational capabilities, a smartwatch could be used to help them navigate. The most likely use case for this is based on geofencing: as soon as the senior leaves a certain ‘safe zone’, e.g. the street in which he/she lives, the watch could warn the wearer and help her to navigate back home if necessary. If the senior does not return home within a certain time frame, the watch could alert a caregiver. A less common, but nevertheless viable use case, is indoors navigation in large care homes. A smartwatch could help the senior to find her way to the dining hall, a friend, the hairdresser, café, etc. The Apple Watch offers turn-by-turn navigation with tactile and auditory feedback for each turn. Advanced hearing aids allow the wearer to change the volume and the audio program via a remote control. Traditional remote controls are dedicated devices, which are worn around the neck or taken along in a hand bag. They have several shortcomings: first, whenever the user wants to change a setting, she needs to find the device. Second, the senior may not like it when other people around see what she is doing. Third, the usability of these devices is often mediocre (unclear which button belongs to which program, etc.). A smartwatch could provide a better experience: it does not stigmatize and as long as the senior is wearing it, the ‘remote control’ (app on the watch) is always within reach. 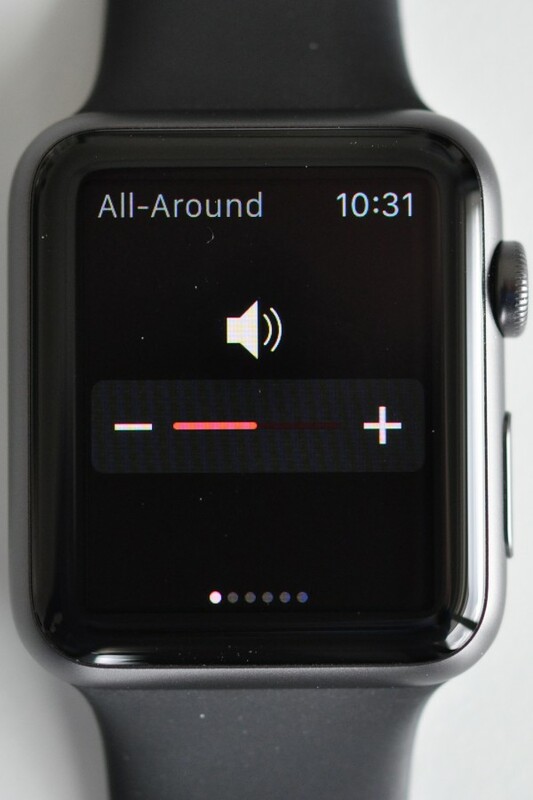 ReSound is one of the companies that understood this potential and already offers an application for smartphones ánd smartwatches, such as the Apple Watch. The ReSound app is very well designed. The first screen allows the user to change the volume of the active program. The second screen allows the user to switch between programs. Smartwatches could be a solution for seniors with hearing loss, because they can notify the wearer using tactile feedback. 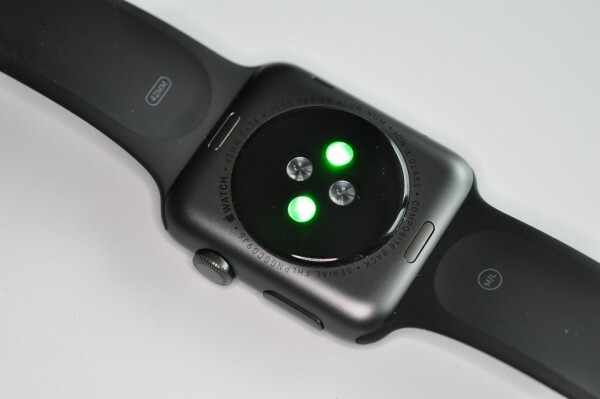 Especially on the wrist, tactile feedback is easy to notice. This means that fewer calls, messages, reminders, etc. would be missed. This also prevents the senior from having to turn up the volume of the smartphone to extreme levels. With voice control, seniors with limited sight or trembling hands could still be able to use the device. However, the usability of this technology is complex. Three examples of challenges are: (1) problems with recognition, especially in noisy environments, (2) users may not like to be overheard and (3) users need to remember phrases to use it successfully. Notifications: if the senior does not have her smartphone at hand, she can still receive notifications (SMS, e-mail, WhatsApp, appointment, reminder, etc.). If she receives very many notifications, she will not need to pick up her smartphone each time. See who is calling: if the senior is already having a conversation with someone or if she has her hands full (garden, cooking, etc. ), she can check who is calling and decide whether to pick up or call back later. Mobile payment: when many more shop owners adopt the contactless payment technologies such as Apple Pay and Android Pay, the senior will no longer need to fumble around with small change. 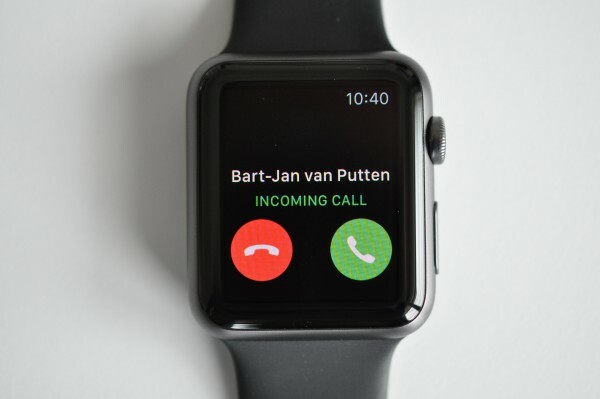 The Apple Watch shows who is calling. 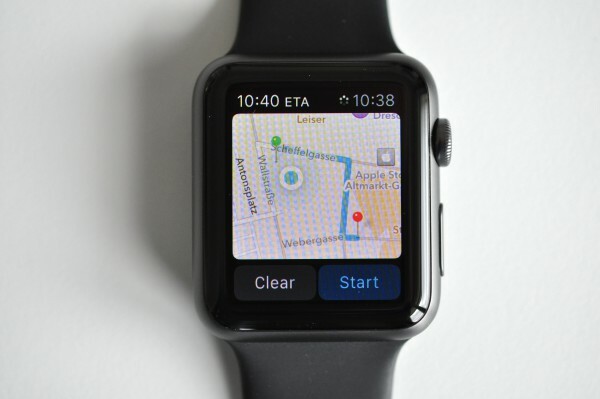 The user can then answer the call directly from the watch or get her iPhone out. 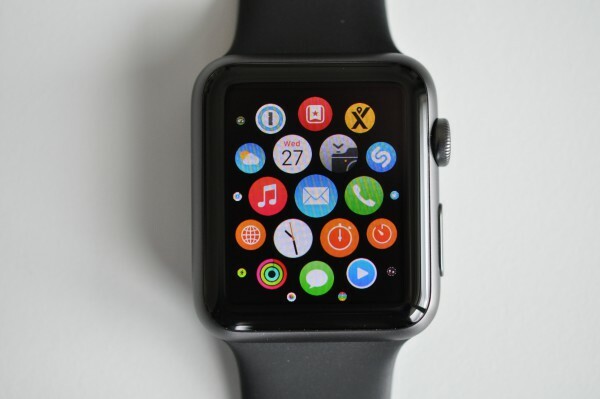 The screen is small, even though this is the larger (42mm) version of the Apple Watch. Fortunately, it is possible to increase the fonts size, which will be important for many seniors. Because of the tiny screen, designers often need to make a choice between using screen space for the information itself, or for the buttons (technical term: ‘chrome’) to interact with that information. Therefore, many applications use gestures instead of visible buttons. Gestures are swipe movements, mostly from right to left or from left to right, sometimes also from the top of the screen to the bottom and vice versa. The problem with gestures is, that they are invisible (technical term: ‘no affordance’). Interactions without affordances need to be discovered first and then memorized, which is a problem for users of any age. Compared to younger users, seniors are less likely to experiment with a device to discover the gestures, and less likely to memorize those gestures. 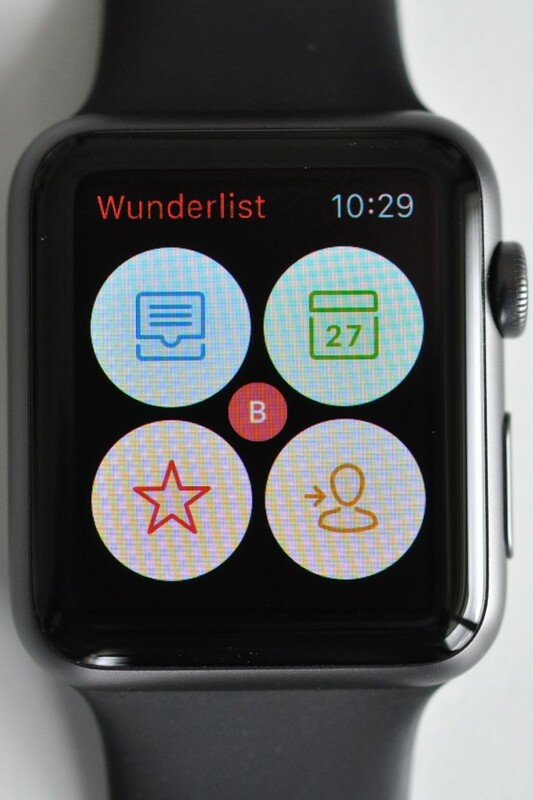 After looking at the screen of the Wunderlist app (left image), one would expect that all functions are shown. However, it appears that one needs to scroll or swipe down to find the actual to-do lists (right image). Arguably, this is a design flaw of Wunderlist. In any case it shows how easy it can be to oversee information when app developers rely on gestures. 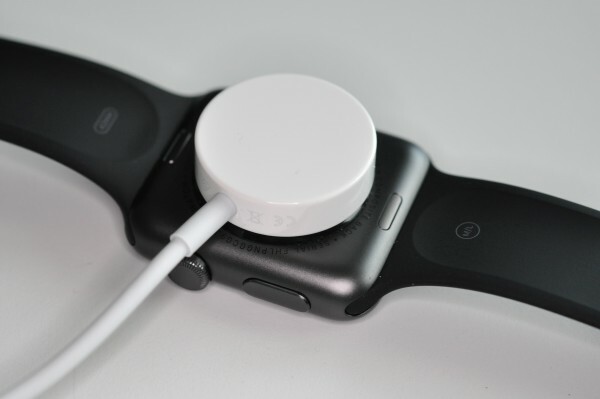 Unlike traditional watches, smartwatches need frequent charging. Most smartwatches need to be charged every night, depending on how intensively they were used during the day. 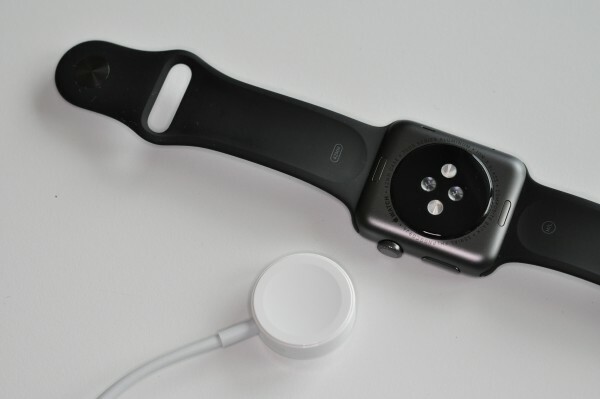 The process of charging is not so difficult, especially with the Apple Watch which has a magnetic charging cable. When one goes to bed, one takes off the watch, clips on the magnetic charger and the next morning it is fully charged. For some seniors it may be challenging to remember to charge the watch. In such cases, the watch should remind the senior to charge it as soon as it is taken off in the evening. If all fails, the watch could alert a caregiver. The Apple Watch needs to be charged every night. The magnetic charger easily snaps into place. Most smartwatches need to be paired with a smartphone. When the watch is outside of the wireless range (Bluetooth Smart) of the smartphone, many of the desired functions described before would not be available. It would not be possible to make emergency calls, it would not be possible to send health data to a caregiver, it would not be possible to fetch new appointments from the calendar, it would not be possible to get a position, etc. Thus, when the senior leaves the house, she will need to carry the smart phone as well. A partial exception is the Samsung Gear S, which has a SIM-card slot and can thus be used to make phone calls out of the range of a smartphone. That is good, but it still needs a smartphone for configuration and updates. The Gear S is also a much larger and less elegant watch. For most functions, the Apple Watch needs to have an iPhone in its proximity (which seems to be about 10 meters). Smartwatches have the potential to become very useful for seniors. Examples of likely features are making emergency calls, detecting falls (and preventing false alarms), monitoring vital signs, receiving reminders and navigating. To prevent seniors from having to carry their smartphones at all times, it would be desirable to have a smartwatch with its own SIM-card slot and GPS built-in like the Samsung Gear S, packaged in a device with the elegance of the Apple Watch, configurable by the senior or a caregiver via the internet. Apart from that, the hardware seems to be sufficiently capable. On the software side, some of the apps which are available today could relatively easily be adapted or re-developed for seniors. Other apps need to be designed from scratch to meet the needs of seniors. In spite of the potential, smartwatches also have some serious drawbacks. The screen is tiny, which makes information hard to read and leaves little space for buttons. Many producers use gestures which are difficult to discover and remember. Producers must carefully re-think and re-design their apps. Simply miniaturizing existing apps will not satisfy users. Therefore, involving user experience (UX) researchers and designers is essential. UX experts will not just ensure that the product is useful for and usable by seniors, but also that the needs of informal and formal caregivers are taken into account. It is this kind of ‘systems thinking’, which will make smartwatches a success. Would you like to work with us on a smartwatch project? Or shall we give a smartwatch demonstration? Please feel free to contact us.